Composed by J.D. Frizzell. Choral. Octavo. Heritage Music Press #15/3359H. Published by Heritage Music Press (LO.15-3359H). 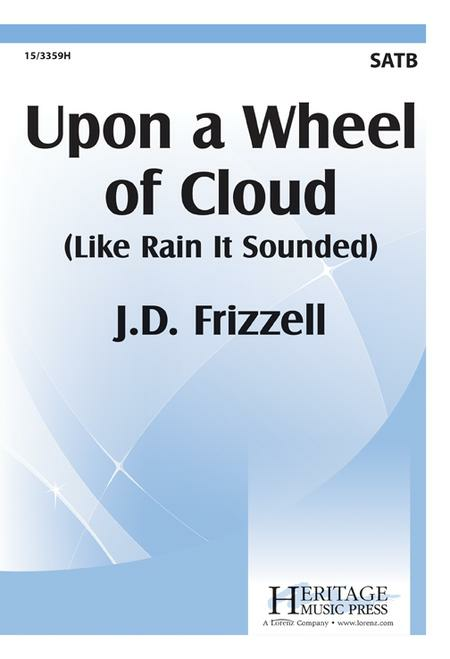 A dazzling showpiece for mature ensembles, J. D. Frizzell's masterful choral writing frames a classic Emily Dickinson poem in a dramatic, rhythmically driven setting. "Upon a Wheel of Cloud" begins a cappella and develops into an intriguing, captivating interplay of vocal lines and piano.